Well the weekend was beautiful, and the weather was short! It’s Tuesday and that means New Releases on DVD/Blu Ray. If it’s a movie fix you need, then this week Disney has got you covered. New releases today are some of their mega-hit blockbusters from last X-Mas. Including the elegant sequel and trilogy-opening Tron: Legacy. If you’ve never seen the original, it’s out on Blu-Ray today for the first time in 1080p HD, so get them both. These movies are worth the time and the money. 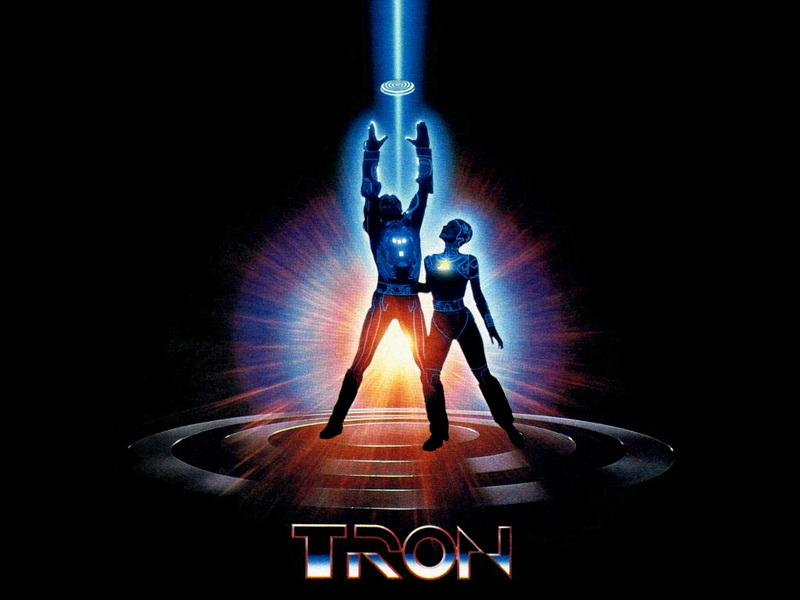 In 1982 Disney brought us a little-known (surprisingly) movie called TRON. It came out when computers were new and mysterious– and it banked on that fact. It told the story of Kevin Flynn, a recently-fired software engineer who had all of his prized games stolen by a co-worker who published them as his own… Flynn gets digitized by the Master Control computer while trying to hack into the system to clear his name. He is transported to The Grid, a “digital frontier” where the evilMaster Control Program controls everything and forces to programs to compete in gladiator-style games. Flynn (played by Jeff Bridges) fights against the MC program and to free The Grid for all. It’s a beautifully filmed movie that was a staple of my childhood. Tron: Legacy picks up where the original left off, with Kevin Flynn telling his son about The Grid, and how it’s a real place that is going to change the way we see ourselves and the universe… He then tucks the boy in, goes outside, gets on his motorcycle, and disappears. 20 years later, Sam Flynn, son of Kevin, must reconcile his missing-daddy issues with his own desire to head his father’s company (Encom). Sam claims he doesn’t care, yet breaks into Encom Tower to plant a virus that will put its recent itteration of an operating system (a jab at Microsoft) on the web for free. He is a young man torn, between his need to grow and his inability to move on from his father’s abandonment. One night after Sam is arrested for the break-in, his father’s friend (and character from the original) bails Sam out of jail. He tells him he’s received a page on his old pager… from his dad’s office line at the arcade that’s been closed for 20 years. Sam investigates and gets lasered into the Grid like his dad before him. He must battle an evil power-hungry program to free his father from exile and save the world.Tron: Legacy is a totally breathtakingmovie. 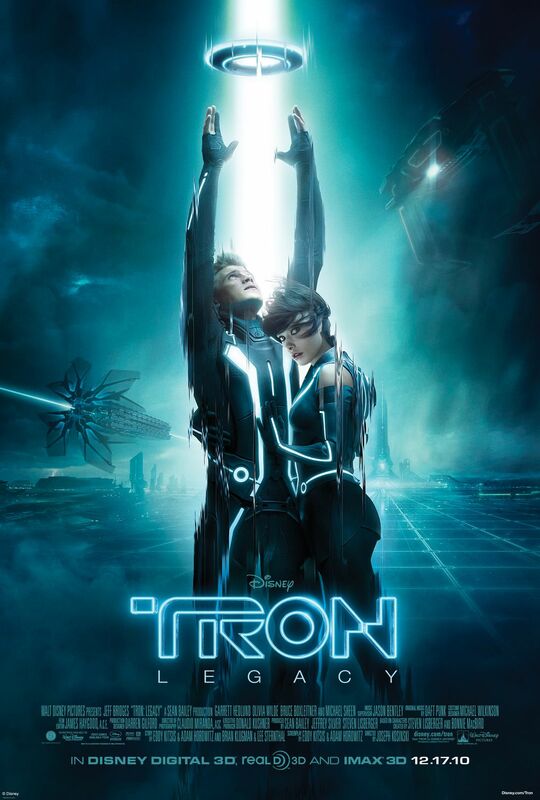 If you have the ability to catch it on Blu Ray- do it… The effects are astounding, the look and feel of the movie stay very close to the original… all-in-all it is a great ride for the whole family.Tron and Tron: Legacy are rated PG for sequences of sci-fi action violence and brief mild language. 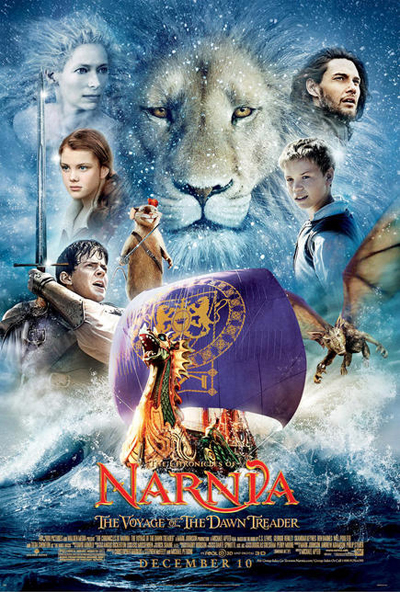 Next up is Disney’s Walden Studios’ The Chronicles of Narnia: Voyage of the Dawn Treader… another wholesome family adventure with heavy religious undertones. The younger siblings from previous films star in this continuance of the Narnian mythology. This time with an adorably priggish cousin in tow. 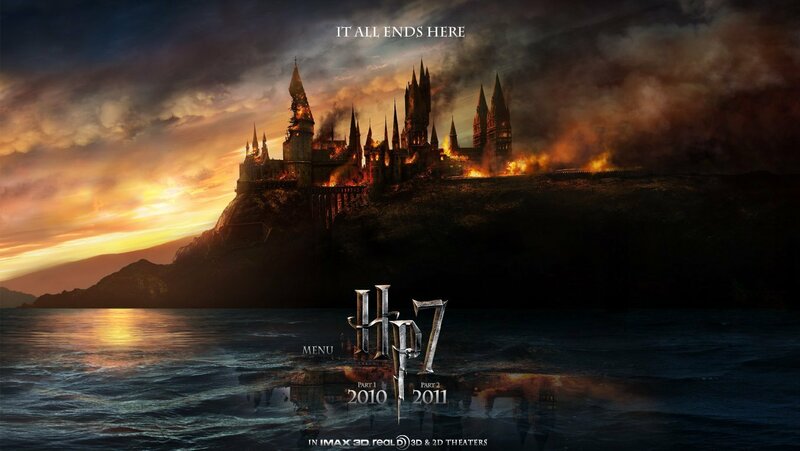 There are some good effects, and it held my attention better than either of the last two movies… apparently this is the last of the movies with the original children in them. Didn’t C.S. Lewis put any cohesive plot arcs in these things or are they all just sequels? Either way, The Dawn Treader is rated PG for some frightening images and sequences of fantasy action. 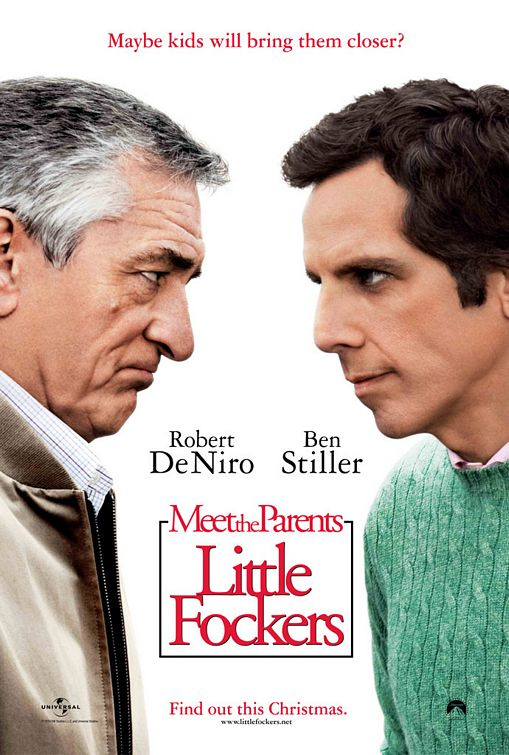 Speaking of epic trilogies, (hopefully) the finale of the Ben Stiller/Rober De Niro clash that started withMeet the Parents,comes to DVD and Blu Ray with Little Fockers. I’m not sure if Fockerhas made it into the Oxford Dictionary yet, but it’s certainly part of the modern lexicon. It may not have started with Meet the Parents, but these sequels have beaten a dead horse… well… deader. It’s been 5 years since the last movie (in the story) and De Niro’s character is looking to hand the reigns of the family over to someone, will Ben Stiller measure up to his torture and testing? More importantly, do we care? People ask me why I like every movie I see… it’s because I choose not to watch rubbish like this. Little Fockers is rated PG-13 for mature sexual humor throughout, language and some drug content. Also out on DVD and Blu Ray this week is a little-known Jim Carrey/ Ewan McGregor movie called I Love You Phillip Morris. It is a brilliant flick that tells the true story of Steven Russell, a man whose world is turned upside-down when he admits to his family he is gay. Russell (Carrey) lives a life of fraud, cons, and eventually prison- where he meets and falls in love with Phillip Morris (McGregor). Russell devotes himself to springing Morris from a Florida prison, pulling a series of impossible cons. I saw this movie almost a year ago and absolutely loved it. I realize that some people will have preconceptions due to its subject matter, and that’s a bummer for them. 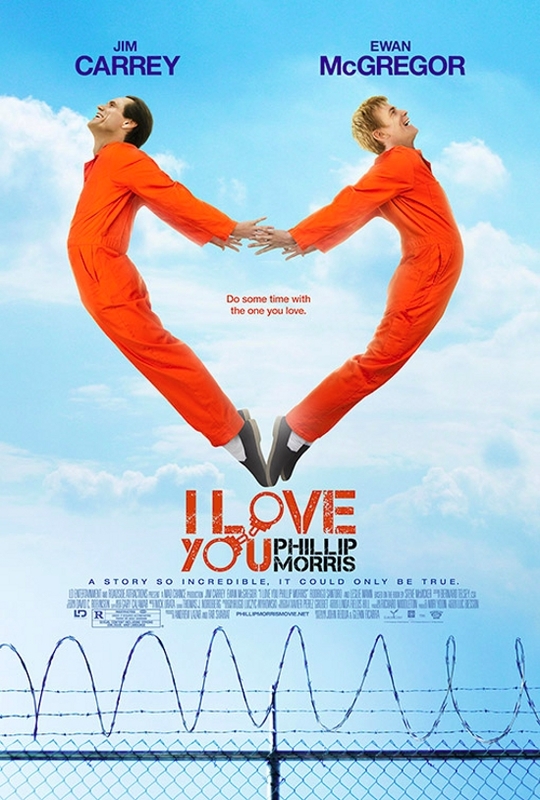 I Love You Phillip Morrisis a charming, hilarious, and unbelievable story… a must see. It is rated R for sexual content including strong dialogue, and language. Have a great week Eugene!